A little over 3 days left in my Kickstarter campaign to fund The Icelandic Land-Lapse Project – my second feature film. And that’s a subtle tweak to my pitch today: I had been planning to compress the 800-mile drive around Iceland into a film about 30 to 45 minutes in length – a short film. 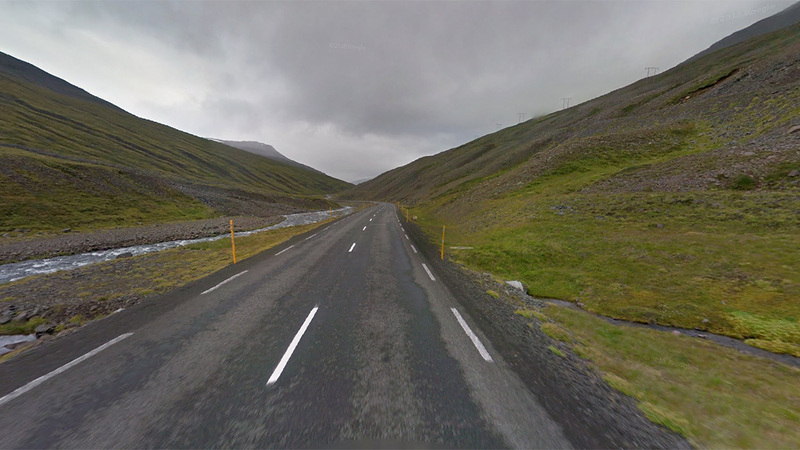 However, given that the scale of Route 1 (aka the Ring Road or Hringvegur) is much smaller than the Interstate Highway System experienced in From Sea To Shining Sea – and since we will not be going at such as high rate of speed (perhaps half) – it may be more appropriate to slow it down a bit, and give more emphasis to the beauty of the Icelandic landscape: the lava fields, the glaciers, and of course, (ahem) the blind curves. It will give more time to experience the landscape – and that’s the core of this self-described land-lapse genre – it is experiential. To achieve that immersion, it is key that the landscape dominate – and the 16:9 ratio and 4K video quality will certainly help (as will the audio collage, which we will talk about in more detail over the next few days). At the moment, the Kickstarter campaign is at about 27%: this project will not happen without support from viewers like you. I can’t do it without you – it’s just that simple. Thanks for listening.